Hi everyone! We've had a super rainy couple of weeks here in Atlanta. One of my favorite things about rainy days is seeing the awesome colors in puddles of water from the oils coming up from the concrete, so I wanted to create a mani like that! 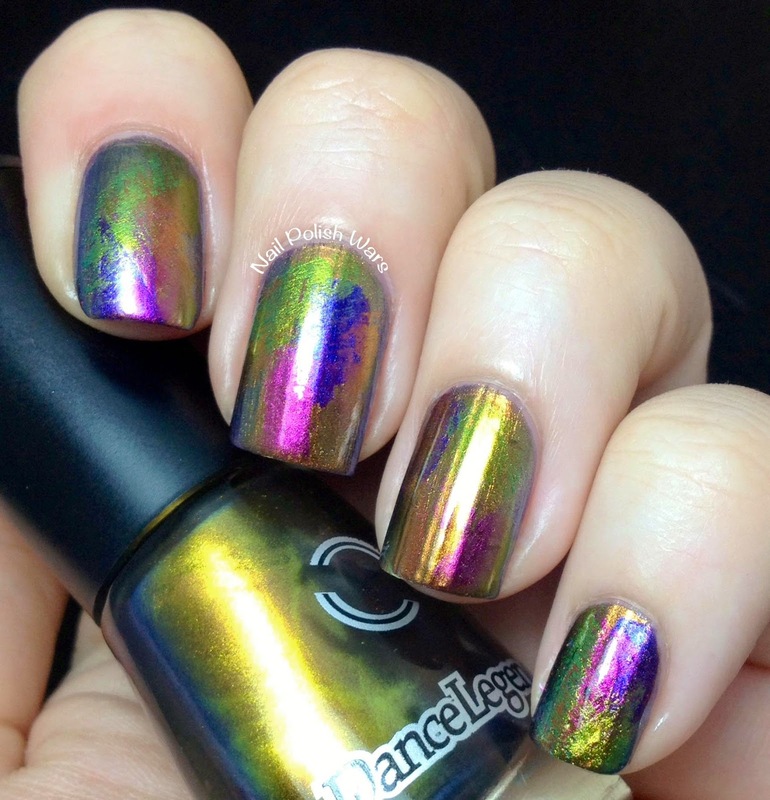 I used all five of my shades from the Dance Legend Chameleon Collection. I started off with two coats of Dance Legend Knight, and then used my other four shades, Boo, Celia, Roz, and Wazowski, over it. I used a dry brush method to dab on the shades. To do this, I simply wiped as much polish from the brush as I could along the ring of the polish bottle. I dabbed them on in random patterns across my nails, and finished with one coat of SV. I just love the end result! It is so much fun to look at! I really hope you enjoyed today's mani! I'm just crazy about it! Oh wow!!! I am so going to try this too now!!!!! Wonderful! I love all this color and the result match perfectly with the intention! wow this is gorgeous!! i love this effect! 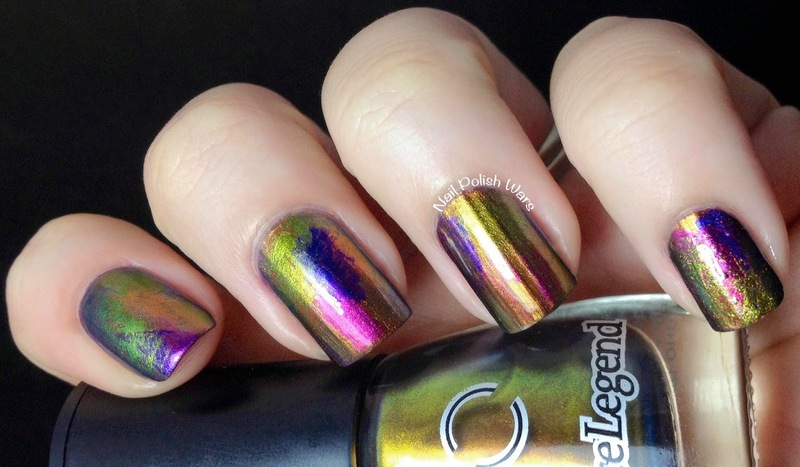 Nicole, this is my absolute favorite mani of all ages. You did an amazing job!!! LOVE LOVE LOVE it. How cool. 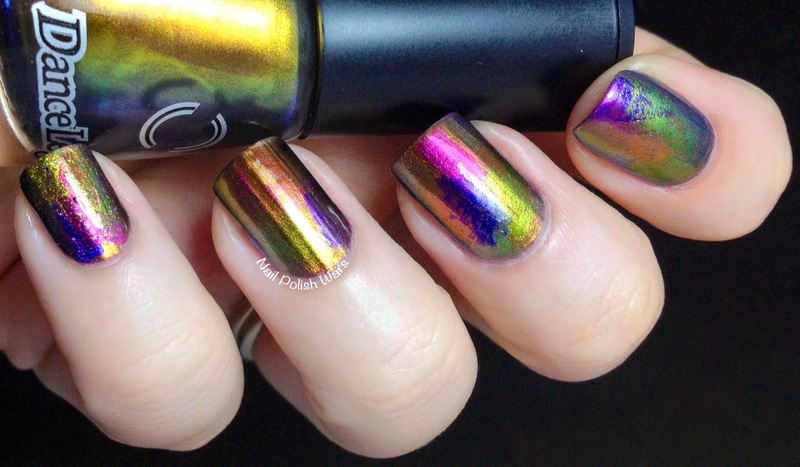 I saw this on facebook and could have sworn it was nail foils on top of the polish. Very pretty effect. 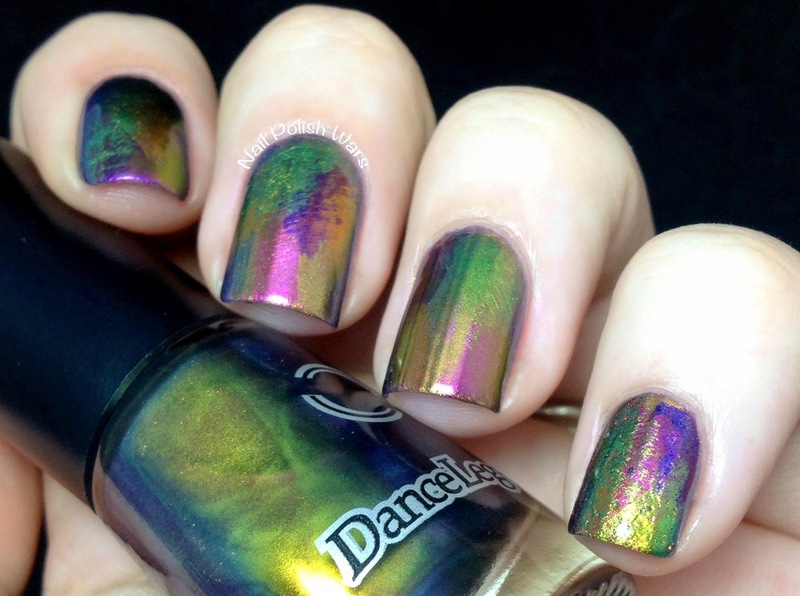 I wish I had the polishes to try that look. I'm so jealous lol. I love it! It turned out so well! Oh, NO! 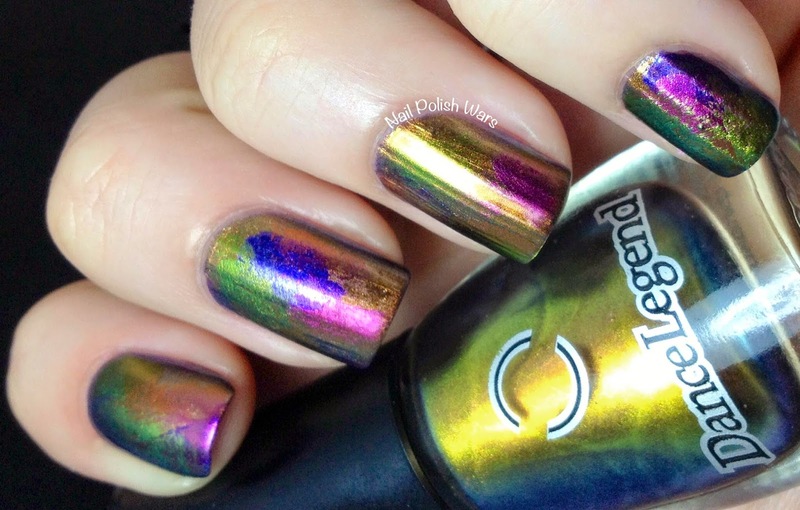 I am still waiting for the polishes to arrive that I ordered from Dance Legends over a month ago! Now I am seeing these Chameleons! At the time I placed my order, I wasn't into chromes, but just recently got into them. I will have to see if they are stocked at an e-tailer here in the States. 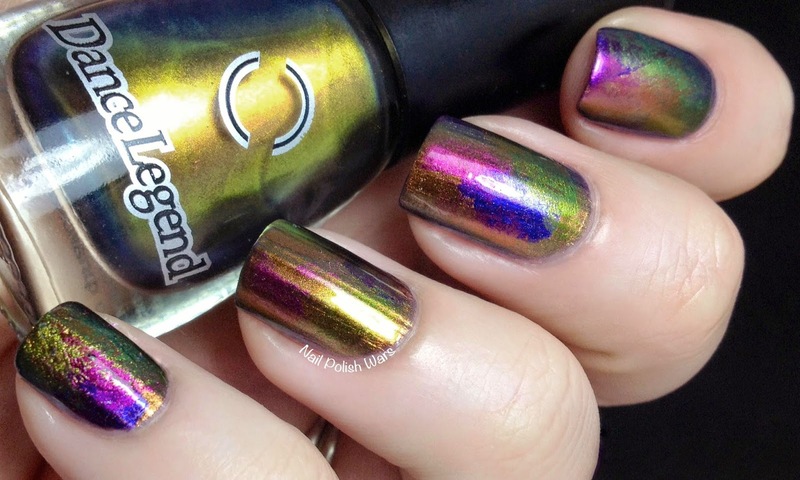 Your mani is awesome! You should love it! Its gorgeous! Saw this on Llarowe's facebook page and fell in love! Fantastic job! This is so cool! I think I need more polishes with a chrome/metallic finish!